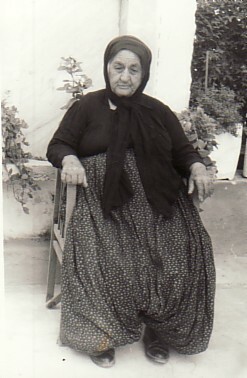 Above: My paternal grandmother, Irini Vougdas. 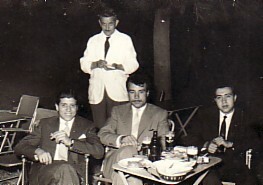 Above Right: Family and koubari. Sitting are my paternal grandmother, Irini and my father, Georgios. 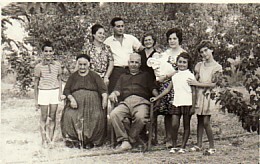 Standing from left are: my brother, Stamatis; my koubari, Maritsa and Athanasios Dekoulakou; my mother, Thalia; my sister-in-law, Argiro- holding her child, Thalia; and Maritsa and Athanasios' two children, Grigoria and Stavrini. They are in our yard of our home in Chrysomalousa. 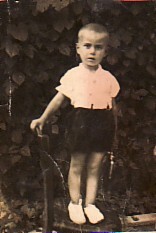 Above: As a young child. Above Middle: Walking with Dimitrios Stefanou (right). Above Right: At the Parko, Mytilene. 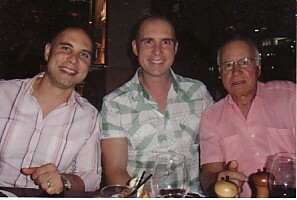 L-R: Andonios Zingas, me and Lakis Filipidis. 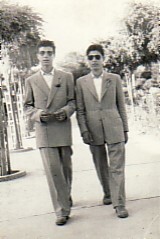 Above: With my close friend, Nikos Kazantzis (from Agiassos). 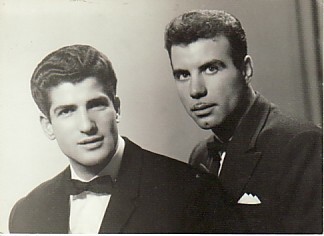 When I arrived to Australia (1963), I satyed with Nikos and his family for one-and-a-half years. 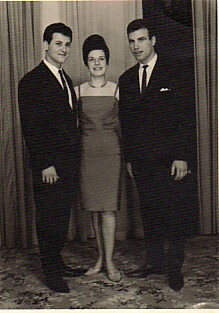 Above Right: With my friend, Platon Canlis (left) and his wife, Hristofilia. 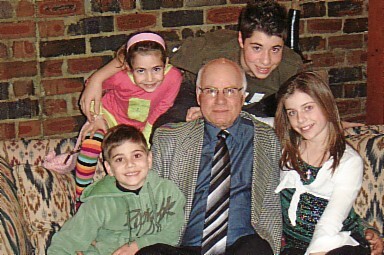 Above: With my sons, Haralambos and Georgios.